CHICAGO — According to an Illinois Policy statistic, the average career worker in Chicago retires at or near the age of 60. If this statistic includes educators, it’s ironic that their retirements could come well before one of their schools receives a long overdue upgrade. Maple School, a middle school in the Northbrook/Glenview School District 30 (comprised of three schools in the Northbrook, Ill., and Glenview, Ill., suburbs of Chicago) was built in 1949. For context, Orwell’s dystopian novel “1984” was published the same year Maple School opened. Fortunately, citizens in the district approved a referendum last year to design a modern middle school to replace the aging facility, which currently accommodates approximately 410 students. 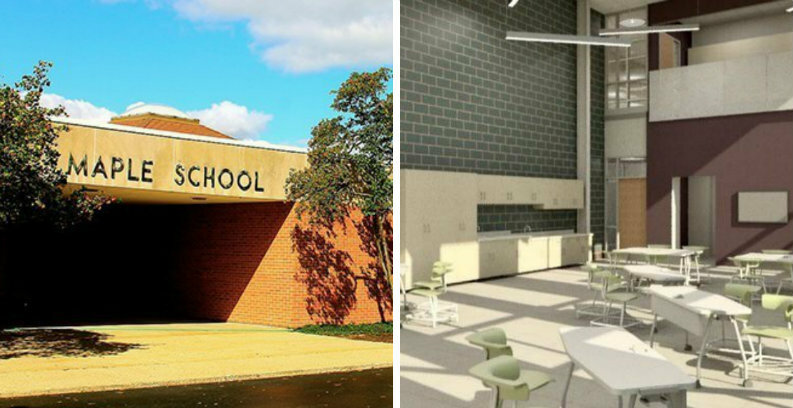 Maple School will receive a contemporary makeover with construction scheduled to begin next month. A new $40.6 million facility will be built on the former athletic fields east of the existing school and will replace the original structure. The antiquated school was overdue for a refresh and “meeting the needs of 21st century education,” Superintendent Brian Wegley opined to the Chicago Tribune. The school’s revamped design was completed in December 2017, and the project went out to bid in late January 2018. Construction manager Nicholas & Associates, Inc., a full-service contractor based in Mt. 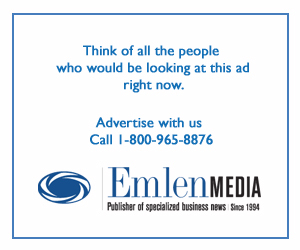 Prospect, Ill., put together a construction package for approval at the district’s upcoming Board of Education last week. The plan is for the new facility to be completed in June 2019, with plenty of time to prep for the 2019-2020 school year. Key to the new design is an emphasis on STEM education modalities with three labs (with gas and water hookups) available to the sixth, seventh and eighth grades. The new school will also have a “cafetorium,” a portmanteau that seems to combine “cafeteria” and “auditorium.” The structure will be available for dining as well as assemblies that can host the entire student body. A groundbreaking ceremony is scheduled for early April.